Be spellbound. Be humbled. Immerse yourself. 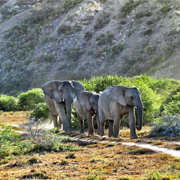 Our Big 5 safaris in the malaria-free Eastern Cape are exclusive and intimate escapes for couples and families alike. Enjoy your dream beach holiday with us - from Cape Town through the Garden Route and on to Port Elizabeth, we bring you South Africa's best beach destinations. From the Hyde Hotel in trendy Sea Point to The Three Boutique Hotel in the City Bowl, we've got your Cape Town accommodation sorted. Port Elizabeth's beaches and family-friendly vibe are perfect for your family break. Stay at Singa Lodge in Summerstrand or Ibhayi Guest Lodge in Walmer. So many beaches, so little time - from Camps Bay to Blaauwberg, the sand is white and the sea is blue. The Tsitsikamma Forest is a place of dappled light and bird-loud air. Tsitsikamma Village Inn in the heart of Storms River Village is an ideal base from which to explore. Our travels with our own kids taught us a lot about what makes a family holiday work. Ask for our child-friendly rooms if you're travelling with your little ones. From Cape Town to Port Elizabeth - the best courses in remarkable settings. There's something for everyone in our golf itineraries. Hlosi’s Luxury Family Tents offer families a memorable tented safari experience without compromising on luxury or comfort. Lion Roars Hotels & Lodges offers you a wide variety of 3, 4 & 5-star experiences in a selection of luxury establishments across the Garden Route. Find out What's New on our Lion Roars blog, where we publish local and international news, our adventures, travel tips & so much more. View our collection of images of Lion Roars lodges, their surrounds and what you can expect to experience during your stay with us. Whether you're visiting one of our unique destinations or taking advantage of our tours, we have a warm welcome waiting for you. Our accommodation in Cape Town includes The Hyde Hotel in Sea Point, and the superbly-located The Three Boutique Hotel in Gardens in the City Bowl. Both of our Cape Town properties are within ten minutes' drive of all of the city's main attractions, and within walking distance of a great selection of restaurants, coffee shops and bars. Our Cape Winelands experience offers 4-star boutique accommodation in the heart of the Winelands: Franschhoek. Franschhoek Boutique Hotel, situated within the historic town centre, offers Wine Route accommodation with sweeping valley views and close proximity to all the best restaurants, galleries and cafes this vibrant town has to offer. Franschhoek Boutique Hotel is within an hour's drive of Cape Town. Our Garden Route accommodation includes beach experiences, golf experiences and country retreat experiences. 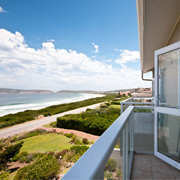 Enjoy your beach holiday accommodation in Plettenberg Bay or Cape St Francis. African Oceans and Bay Lodge in Mossel Bay, and The Robberg Beach Lodge in Plettenberg Bay all offer a variety of beach accommodation right at the beach. Redbourne Country Lodge in Plettenberg Bay, overlooks the Plettenberg Bay Golf course and offers great golf packages. For a country retreat in the Garden Route, Tsitsikamma Village Inn , tucked away in the Tsitsikamma Forest at Storms River Village, offers rooms arranged around a typical Village Green. Our Port Elizabeth properties, Singa in Summerstrand, Ibhayi in Walmer offer guesthouse and hotel accommodation with bed and breakfast and conference facilities set in leafy gardens, with access to all of the friendly city’s beaches, restaurants, bistros and businesses. Our Safari Collection in the award winning malaria free Eastern Cape Amakhala Game Reserve offers all-inclusive accommodation and wedding facilities including honeymoon suites in a wide range of intimate, boutique safari lodges and guesthouses. The Game Reserve and safari trips offer exciting wildlife viewing and are only 70 kilometres from Port Elizabeth.The Amakhala Game Reserve offers 3-, 4- and 5-star accommodation in a variety of accommodation options, ranging from tented camps to thatched private chalets and country houses. 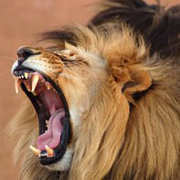 We are also proud to offer a set of unique Lion Roars Tours. Our tour itineraries include Cape Town, Winelands, Garden Route, Route 62, and Eastern Cape Safari accommodation all under one roof. Travel with Lion Roars from Cape Town city bowl, through the Winelands, Garden Route and Route 62, to your Eastern Cape safari, and let us make you feel like royalty as you enjoy our signature hospitality at each of our lodges along the way. Whether you're visiting one of our unique destinations or taking advantage of our tours, we have a warm welcome waiting for you. Each lodge in our portfolio is a place where we ourselves love to be. We’re proud to share them with you.